KAZAKHSTAN. 2000. 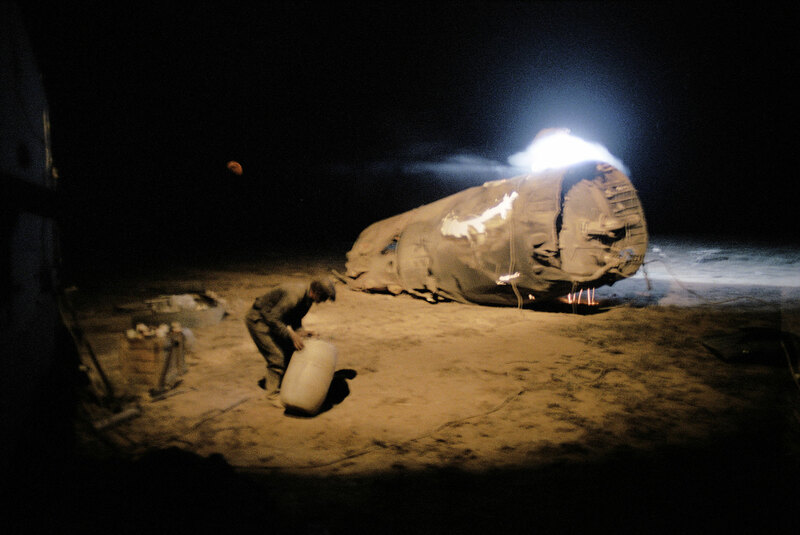 The fiery wreck of a rocket after it crashed during the night.